Violì is a project created by three leading companies in the fruit and vegetable sector to enhance and promote a product of Italian excellence. 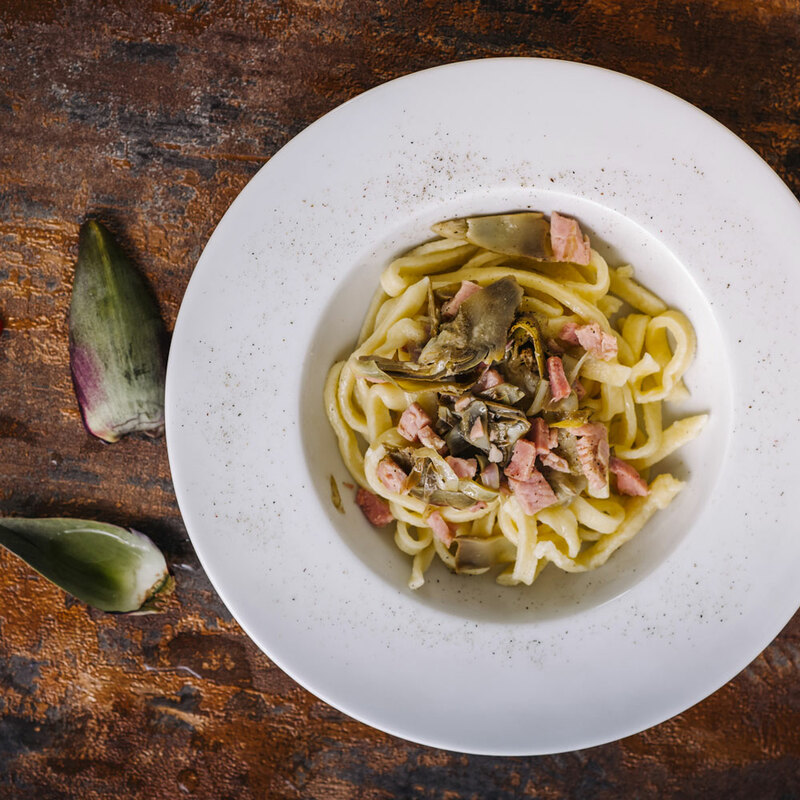 Only artichokes from traditionally suited territories, with accurate production quality and control that, together with the flavour, preserve their natural health properties. All with supply chain traceability. Violì represents all the types of the Italian tradition within a single brand: violetto, morello and romanesco that can be found seasonally for 9 months a year, either whole or cleaned, in Italian supermarkets and in the traditional stores. 8 artichokes, 4 cloves of garlic, 1/2 glass of EVO oil, 2 tablespoons of Vernaccia wine, 1 bunch of parsley, 1 bunch of marjoram, salt and pepper to taste. Cut the stalk of the artichokes leaving 5 centimetres, remove the first three rounds of hard petals, cut the tip and with a fork handle spread the petals. In a bowl, pour the oil, the Vernaccia, the garlic, the finely chopped herbs, pepper and salt. Work quickly with a fork or a whisk, keeping the artichokes upright to let the emulsion penetrate among the leaves. Place them on the grill or directly on the coals and turn them frequently. It will take 20 minutes of cooking. When they are cooked, remove the burnt outer leaves, cut them along, remove the internal beard and serve with grilled meats. 400 g of flour, 4 eggs, 4 artichokes, 1 lemon, 1 shallot, 1 onion, 1 carrot, 1 glass of white wine, salt and pepper to taste, 400 g of lamb meat, 1 celery stick. Put the flour in a bowl, add the eggs and work for 15 minutes. With the dough of the tagliatelle form a ball, wrap it in cling film and put it to rest in the fridge for an hour. Clean a carrot, a celery stick and an onion, chop them and put them to brown in a cast iron pan where you are already heating a little oil. Add the lamb meat roughly chopped, wet with the wine and let it evaporate. Cook the meat sauce over very low heat to prevent the meat from hardening for 30 minutes, and if necessary, add a little hot stock, salt and pepper. Clean the artichokes by removing the stalk, the leaves and the hardest tips, cut them in half and remove the “hay”, then put them in water and lemon. 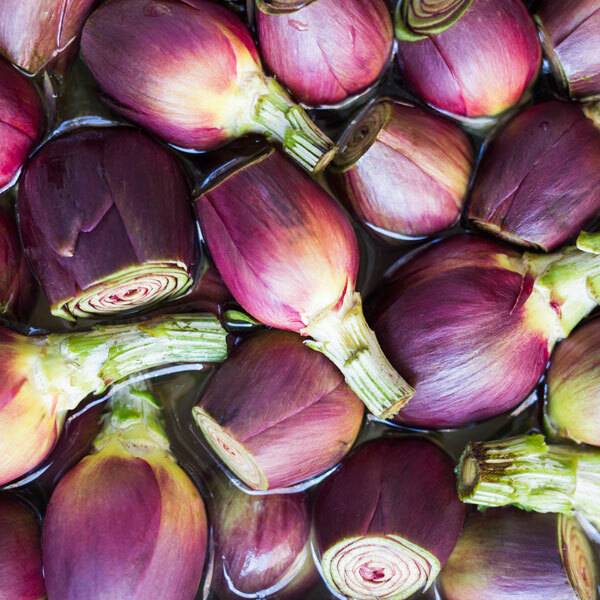 In a pan, fry the shallot in oil, add the artichokes cut into wedges and cook for 10 minutes. Adjust with salt and pepper. Take the dough, roll it out with a rolling pin and allow it to dry for 15-20 minutes. Roll up the dough and with the help of a knife, cut the tagliatelle with a thickness of 1 cm. Cook them in plenty of boiling water, drain when they are still al dente and put them in the pan with the lamb. Pan-fry them for a moment, and then add the artichokes. Serve the tagliatelle piping hot. 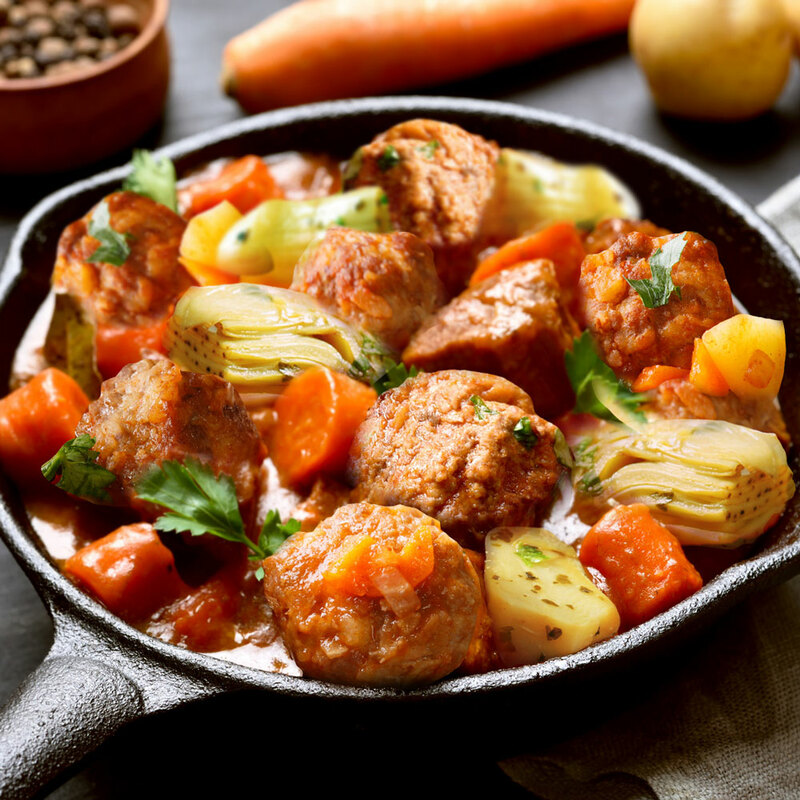 600 g of minced veal meat, 300 g of carrots, 150 g of boiled potatoes, 80 g of cream, 60 ml of milk, 4 artichokes, 2 egg yolks, 1 shallot, 1/2 glass of dry white wine, a few leaves of thyme, 6 g of parsley, a few drops of lemon juice, 3 ladles of meat broth, 15 g of grated parmesan, 4 tablespoons of EVO oil, salt and pepper to taste. In a bowl, mix the veal meat with the mashed potato, a few leaves of chopped thyme, a yolk, 15 g of parmesan, milk, salt and pepper. Blend and create small meatballs (ø cm 2-3, about g 15 each) and brown them in 2 tablespoons of oil for 3-4 minutes. Wash the artichokes and divide them into 8 segments. Wash the carrots, chop them in squares and then as cylinders. Brown the shallot in a pan with the artichokes and carrots in 20 g of oil for 2 minutes, then blend with 1/2 cup of wine and steep with 3 ladles of hot stock so that the vegetables are covered. Boil for 10 minutes, add the meatballs and continue cooking for another 6-8 minutes. Add a beaten egg yolk with the cream and a little lemon juice, after 2-3 minutes turn off, add 6 g of minced parsley and serve. 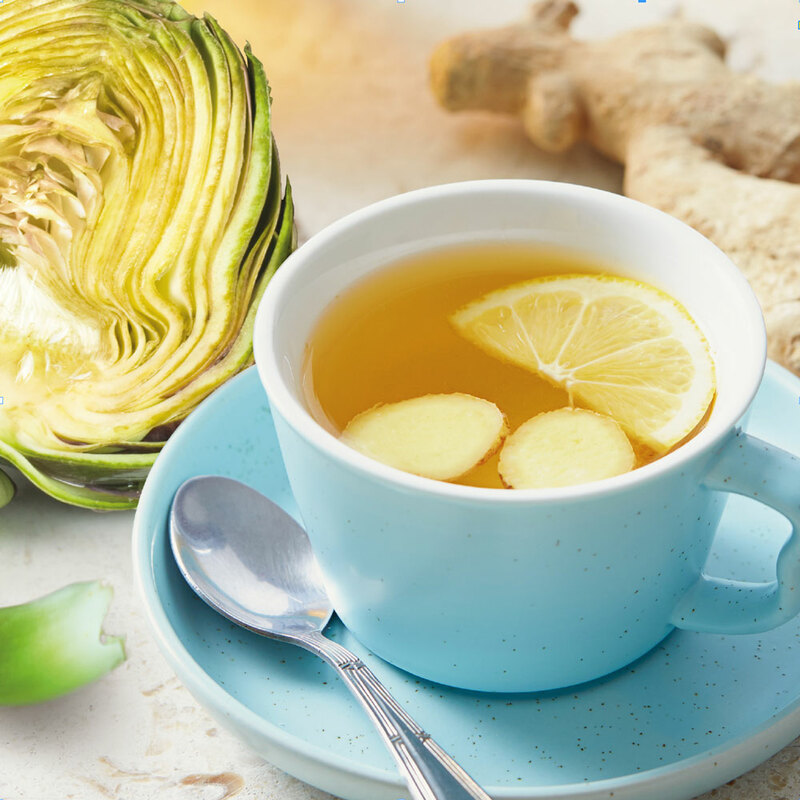 1 artichoke (outer leaves and/or stalk), 2 slices of fresh ginger root (optional), 1 slice of lemon peel (optional), 1 pinch of fennel seeds (optional), sweetener to taste (preferably low-calorie or honey). Wash the outer leaves of the artichoke and put them in a saucepan with 250 ml of water. Bring on the heat and cook with the lid for 5 minutes. Then add the slices of fresh ginger, fennel seeds and lemon peel and cook with the lid for another 3 minutes. Without removing the lid, turn off the heat and let the decoction stand for 10-15 minutes. Filter the artichokes herbal tea with the help of a colander and serve it lukewarm. It would be better to avoid sweetening the tea before drinking it, but if you prefer a sweeter flavour, you can use a low-calorie sweetener or a little honey. 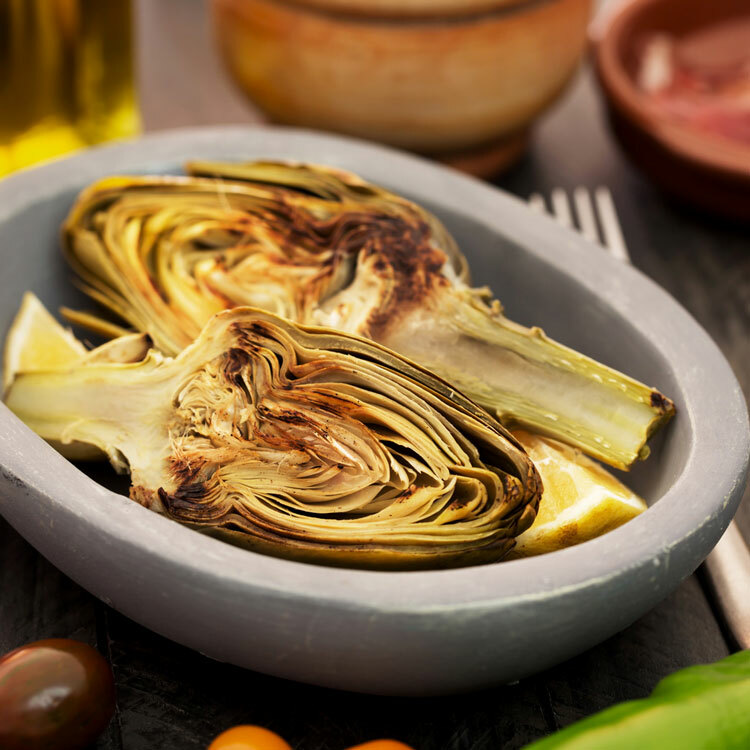 If you prefer to use the stalk of the artichokes instead of or together with the leaves, you must first cook the sliced stalk together with the artichoke leaves for about 15-20 minutes, and then add the slices of ginger and lemon and cook for another 3 minutes as explained above. Then turn off the heat and let it rest with the lid for another 10-15 minutes. The sweetening advice remains unchanged also in this case. The artichoke, contrary to what many think, is a bud and not a fruit: if not cultivated, in fact, it becomes a blue flower. It is a very old cultivated plant, originally from the Middle East and already used by the Egyptians in the preparation of different dishes; even the Romans cooked it with water and wine. Due to the erect shape of the artichoke, for the elegance of its flowering, for its characteristic flavour (the ancient Romans called it “refined”) it is called the “king of the vegetable garden”. For salads: after cleaning them, thinly slice them, season with oil, salt and lemon juice. They can also be stored in a refrigerator for 2 days and then eaten raw in salads. 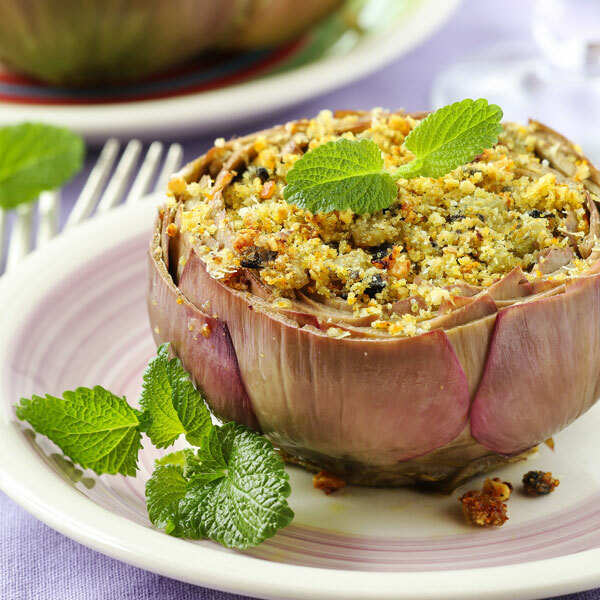 Stuffed: in case you want to use the whole artichoke to stuff them, remove the beard, slightly widening the leaves and extracting it with a teaspoon or a half-sphere dug. The stalks: you can also use the most tender part of the stalk leaving it attached or cutting it and using it in small pieces in your preparations. raw, not cleaned because once they are washed, they get black. after cleaning them, immerse them in acidulated water, both whole and cut at your convenience. • once frozen, place in a frost bag. Artichokes are mainly made of water and vegetable fibres, useful for stimulating the proper functioning of the intestine. 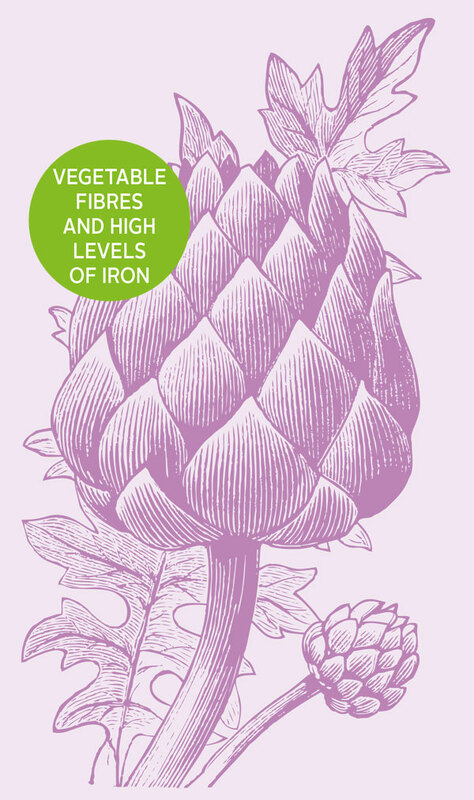 Particularly rich in iron, the artichoke protects the liver and kidneys, improving their functionality. In the twentieth century, a cure based on artichoke had been studied (also confirmed by clinical studies conducted in France in the 1930s) to treat liver disorders. 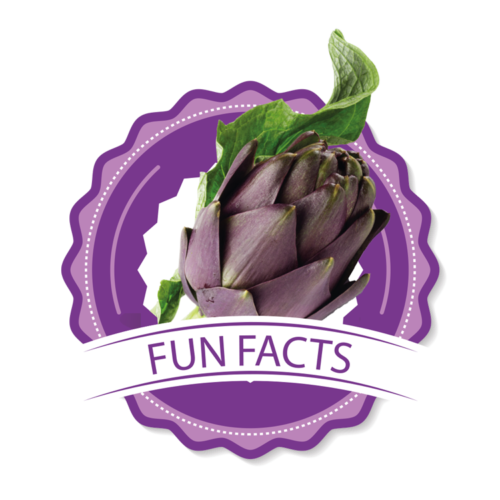 Even a 2010 report by the US Department of Agriculture showed that the artichoke is healthy, especially thanks to its antioxidant activity. It also contains minerals such as calcium, potassium, phosphorus, magnesium and inulin, a fibre that counteracts cholesterol. It is also excellent as a cough suppressant, helps purify the blood and detoxifies. If used as a drink it is an effective draining agent to eliminate excess liquids. 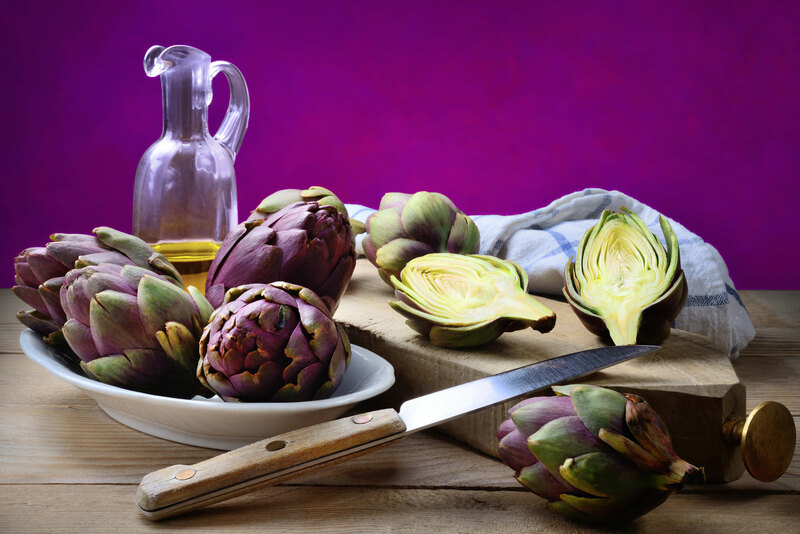 To make the high levels of iron in artichokes more assimilable, it is advisable to combine them with foods rich in vitamin C, such as citrus fruits (among other things, the acidulous taste of these last goes well with artichokes). The medicinal properties of the artichoke and the bitter flavour of the extracts make it a popular plant in the liquor and medicine industries. We could therefore say that it is a real ‘panacea’ for the whole organism. 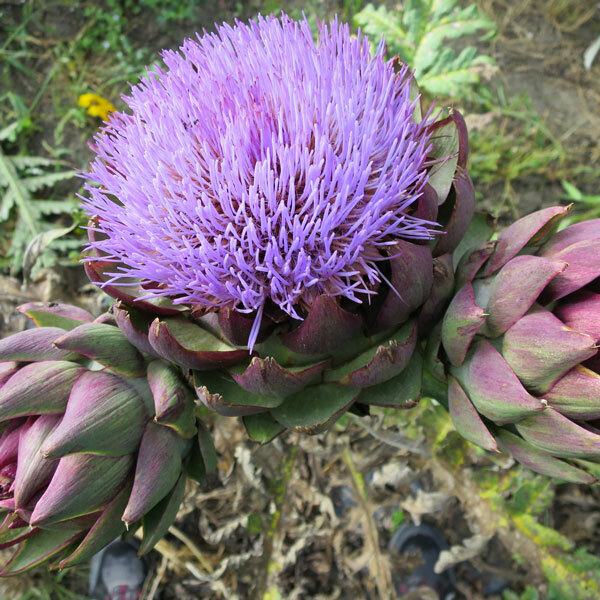 In botany, the artichoke is known as “Cynara Scolimus”. Cynara, is a name that, according to the writer Lucio G.M. Columella, author of De re rustica, the widest treaty of agriculture of ancient times, derives from cinis, for the widespread practice to use ashes as soil fertiliser where the artichokes were cultivated. 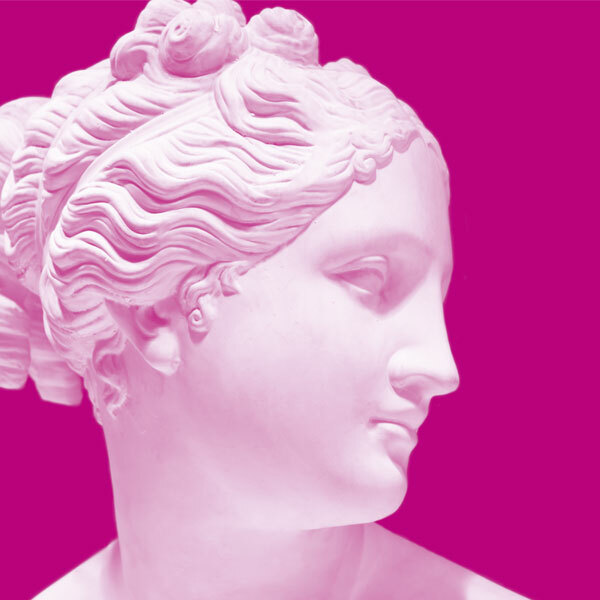 Greek mythology tells of the beautiful nymph Cynara, a beautiful girl with green and purple eyes and long ash-colored hair, who dared to resist Zeus’ seduction attempts: for this affront, the king of the Gods transformed her into a green thorny artichoke, but with a tender heart like that of a girl. The Spaniards introduced the artichoke in Sicily towards the end of 1200 and then it spread to the rest of Italy (it arrived in Tuscany only around 1466 thanks to Filippo Strozzi il Vecchio). 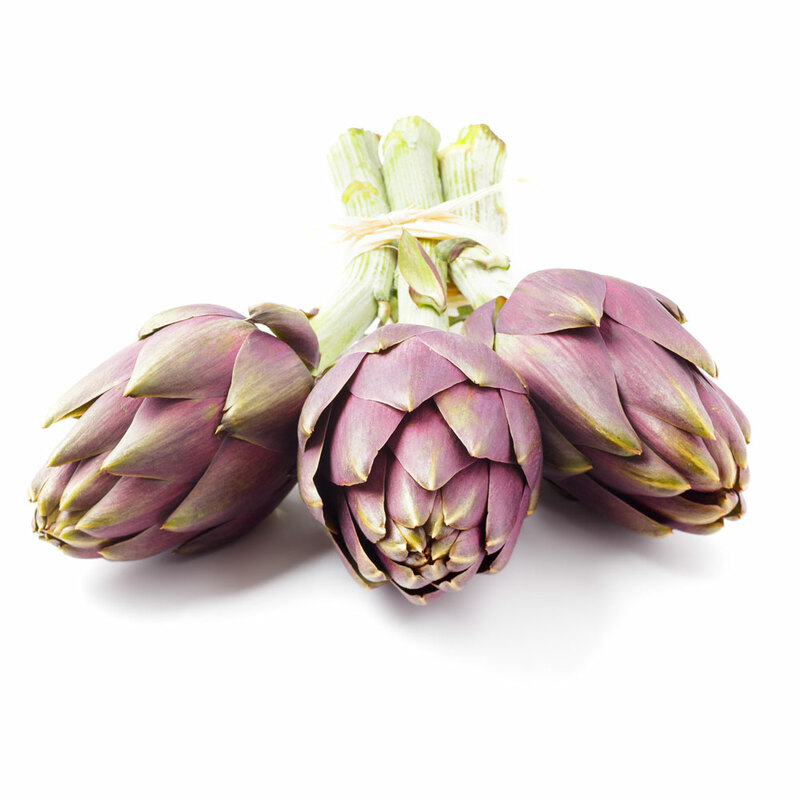 In the Renaissance, it was really food of the nobles: Caterina de’ Medici made the artichoke known in France. She was so fond of this vegetable that Court could not hold a feast without a small mountain of artichokes. Even Louis XIV was crazy about it and several varieties were cultivated in the royal garden at Versailles. It seems that the artichokes were present in the kitchen of Henry VIII, where they were served raw, seasoned with oil, vinegar, salt and pepper and always accompanied with a good glass of wine or fried in butter and seasoned with parsley. It is a cooperative of fruit and vegetable producers made up of over 4,000 members. It is headquartered in Cesena and has 12 plants and 15 collection and storage centres throughout the Country. Apofruit Italia markets its quality products under the Solarelli brand and organic products under the Almaverde Bio brand. Company based in Ordona (FG) in the heart of the Apulia Region, born from the will and the tenacity of the Cericola family to enhance and develop the best Apulian fruit and vegetables. 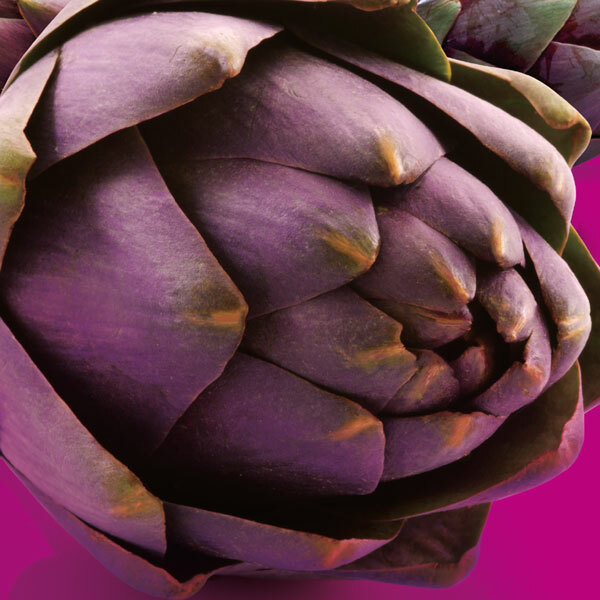 Leader in the production and marketing of artichokes with more than 16 million flower heads per year, the Company has managed over the years to innovate and complete its offer with green broccoli, cauliflower, green asparagus, melon and yellow melon, which today represent 35% of the total business. With a turnover of 8 million euros a year, the company has opened interesting partnerships with new production areas capable of guaranteeing production continuity for 12 months a year. The Azienda Agricola F.lli Giardina, founded in 1939, today is run by Salvatore and Silvio Giardina. Over the years, it has been transformed, building a reality capable of directly managing and controlling all the strategic phases of its business: sowing, transplanting, cropping, harvesting, storage, packaging and sale. The marketing of the product takes place through the OP La Mongolfiera, of which F.lli Giardina is the main founding member and partner. The company operates in Siracusa, an optimal area for the cultivation of citrus fruits, in particular oranges and lemons, and vegetables, such as potatoes, tomatoes, courgettes, aubergines, watermelons, artichokes and iceberg lettuce.